New games come out all the time, but sometimes, there is a game that seems to be perfect for their respective genre. 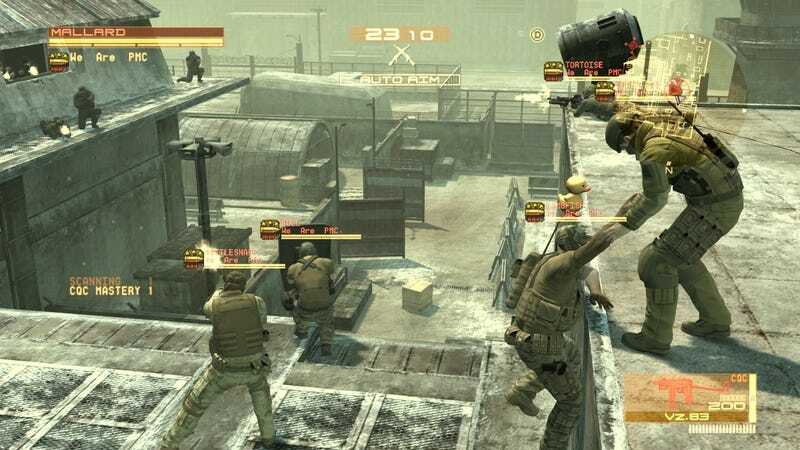 I know that not many people had a chance to play MGO 2 (MGO that came with MGS4) but it’s one of the best online co-op multiplayer game I’ve ever played. The HUD display just enough info to know what your team is up to without being bogged down by the need to chat. And the system works really well in encouraging to assist teammates, and working as a team. Because the worst scenario is everyone in your team goes separate ways and get picked off one by one. Best part is that it manages to integrate stealth and the silliness of MGS without slowing down the gameplay. Unfortunately, because it required a Konami ID to play, the game was never truly experience by most. And one of the biggest flaw was people using lag switches to cheat. Other than that, it’s truly one of the best co-op online multiplayer game ever. Tonight’s topic: What game do you think is one of the best work in a specific genre?